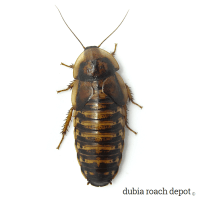 Get your breeding project off to a fast start with our highly fecund adult female Dubia roaches! They’re robust, they’re raring for action, and they’re ready to go! 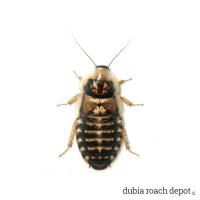 Producing roaches is our business, but perfecting our breeding process is our passion. Over the years we’ve earned a reputation for especially vigorous and prolific females. And here they are. Just provide what they need for reproduction and they’ll be off to the races. Our stock includes newly-emerged females with no breeding history as well as existing breeders that come straight from our breeding colonies, which means a reduction in wait time for newborn nymphs.